AMS engineers are fully trained in clutch mechanics, meaning we are the place to visit for clutch repair and replacement in Weston-super-Mare. If you experience any of the problems below, or anything you are unsure about, contact AMS to book in for a free inspection. This is normally caused by issues with the friction plate. In most cases, the friction plate will be worn or has oil on it, thus causing loss of drive resulting in the car or van moving slower than normal. If you are experiencing a juddering or vibration when you move away from a resting position, it is likely there are issues with the (DMF) Dual Mass Flywheel or clutch plate. Most commonly experienced when trying to access first or reverse gear. Drag is caused when the pressure plate is no longer set at the correct adjustment or the hydraulic system is failing. Where you experience a sudden move off the car or van, even when the clutch is released gradually. There can be many causes of this, from clutch arm issues to hydraulic problems. 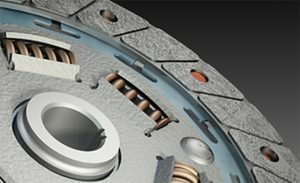 Contact AMS today to discuss clutch repair and replacement in Weston-super-Mare.